It was fun drawing on the flowers with a toothpick! 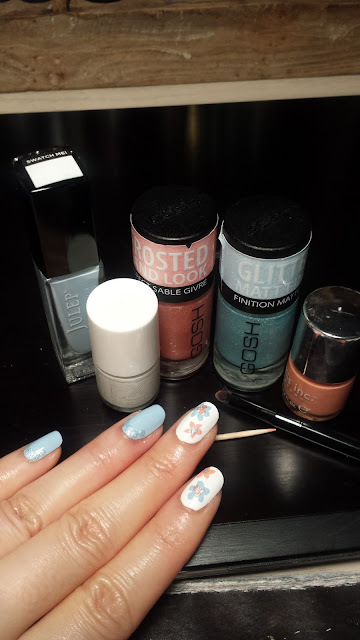 For the base, I used a white polish by Sephora Formula X and a baby blue polish by Julep. The white polish applied evenly and was opaque in 2 coats. 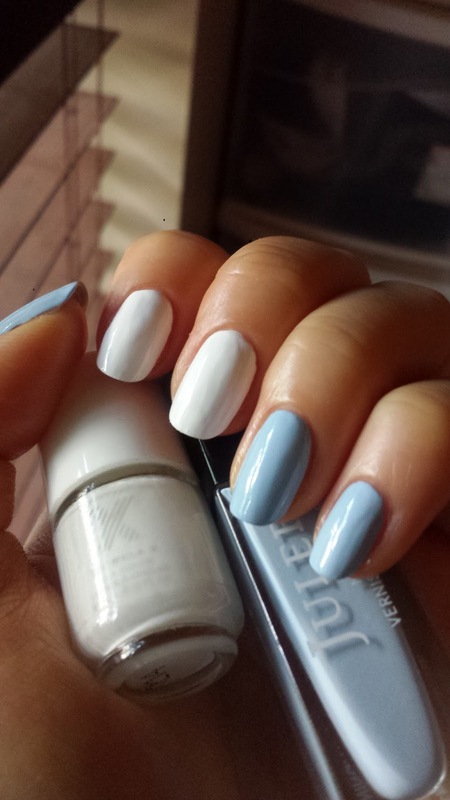 The baby blue by Julep was a bit thicker, I could probably get away with only 1 thick coat but I like thinner layers instead because it can dry evenly without any bubbles or texture problem. The photo above was under natural lighting. 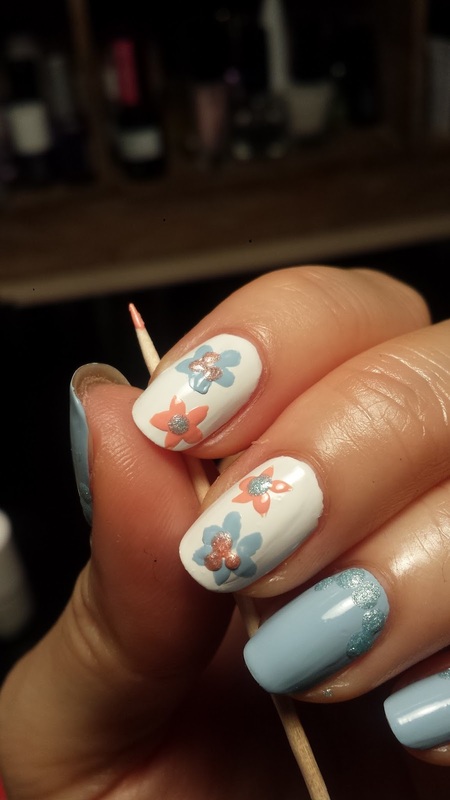 I then used a toothpick as my "brush" to paint on the petals of the blue and pastel orange flowers. 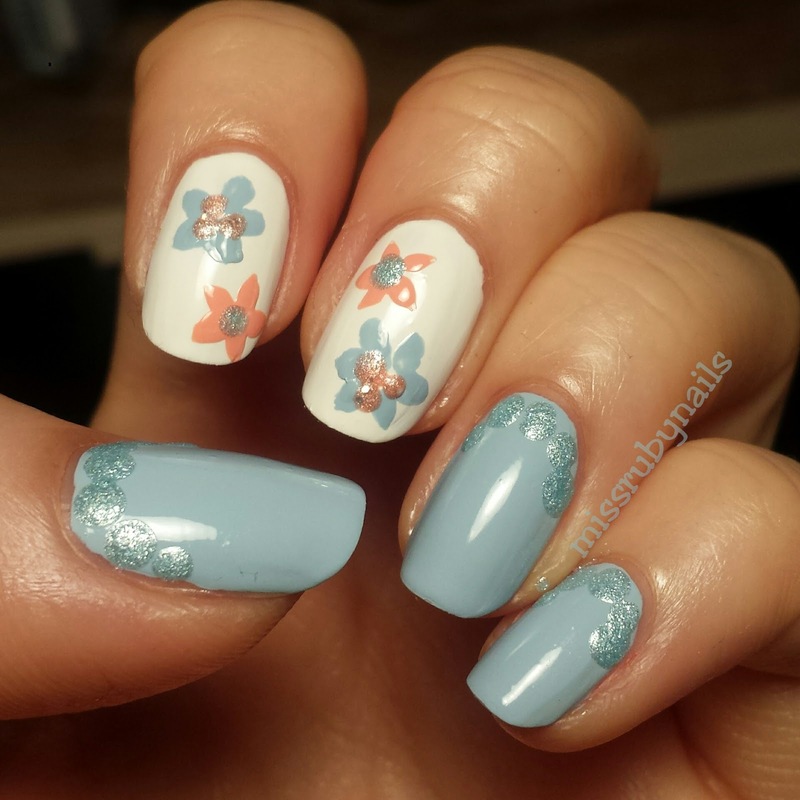 I simple picked up some polish with the toothpick and "stamped" the tip at an angle to make the flower petals. In the center of each flower, I dotted some glitter polish of the opposite color to complete the look. It might be hard to see, but I also dotted some blue glitter along the back of the nail on the plain blue nails.